From time to time my work takes me to archaeological sites where I work alongside underwater archaeologists. This fascinating work has led me to historically significant sites where I dive to wrecks and other structures underwater. Then I measure and record what is found there and return the information to the surface. The result is accurate, detailed drawings and maps of what was found on the bottom. 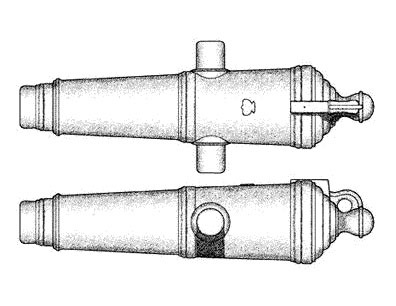 This archaological rendering was produced after carefully recording (measuring and photographing) a small cannon recovered by a scuba diver. I produced this drawing of a barge while working for an archaeological firm. 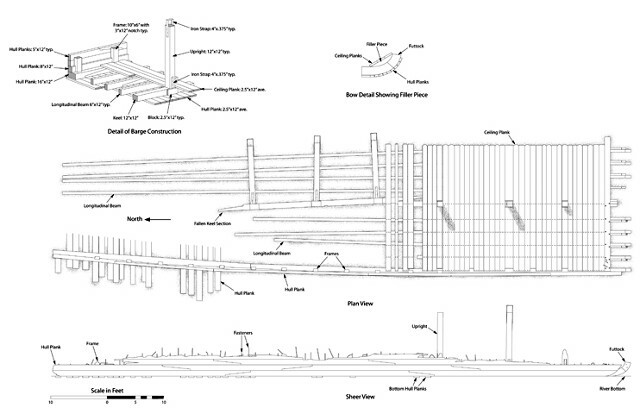 The drawing descibes the current condition of the vessel and was incorporated into a submerged cultural resources survey report in conjuction with a construction project in a major river of the United States.